FurMark 1.8.2 has been used for the test. FurMark homepage is HERE. Settings: 1920×1080 fullscreen, no AA, no postFX, 60sec, Xtreme mode UNCHECKED. Rule: The higher the number of points, the faster the card is. The GTX 580 comes with a power draw limitation when FurMark is detected (see here: GeForce GTX 580 Power Monitoring Details). To remove this limitation, I used a special version of GPU-Z (see here: GeForce GTX 580 Unlocked: 350W Under FurMark Thanks To GPU-Z). 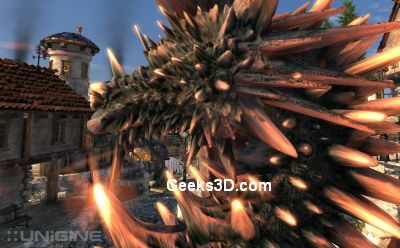 Hardware tessellation is one of the big features of Direct3D 11 and OpenGL 4 capable graphics cards. 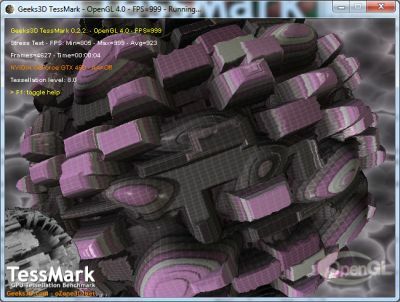 TessMark is a new benchmark focused only on the tessellation engine of DX11 class cards. It’s a pure tessellation benchmark, it does not contain complex shader or other heavy texture fetches. TessMark shows an overview of the tessellation engine raw power, that’s all. DX11 specifies that the tessellation factor can vary from 1.0 up tp 64.0. Of course, for tessellation factors like 32 or 64, most of the tessellated triangles are smaller than… a pixel. In those cases, tessellation is useless and in a real world application such as a game, high tessellation factors won’t be used. But in the case of a synthetic benchmark, it’s always instructive to see how cards can handle the whole range of tessellation level. TessMark 0.2.2 has been used for the test. Settings: 1920×1080 fullscreen, no AA, 60sec, map set 1.
and focused on pixel shaders only. 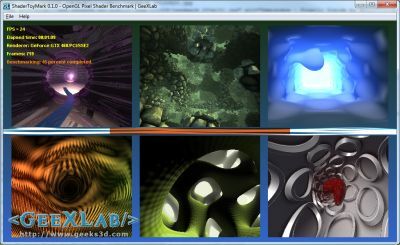 The pixel shaders are heavily based on math (few texture fetches) and then ShaderToyMark can be seen as a kind of GPU computing benchmark. 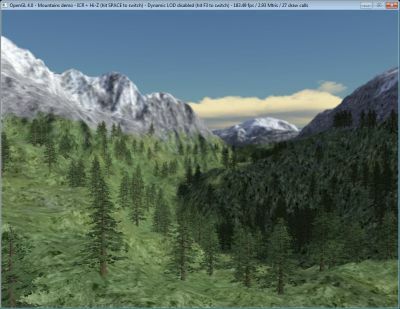 Mountains demo is an OpenGL 4 demo that shows hierarchical-Z map based occlusion culling in action. Settings: default window size: 1024×768, ICR enabled (Instance Cloud Reduction), Hi-Z enabled and dynamic LOD enabled. For this last OpenGL test, I used Ungine Heaven 2.1, one of the standard Direct3D / OpenGL synthetic benchmark. Settings: 1920×1080 fullscreen, OpenGL rendering, tessellation: normal, shaders: high, AA: 4X, 16X anisotropic filtering.